Let me introduce to you debut novel author, the lovely Traci McDonald. She has joined the World of Ink Virtual Tour throughout the month of October and November 2012. With all the trials, and ups and downs and pressures of writing and getting your book published Traci is also blind. 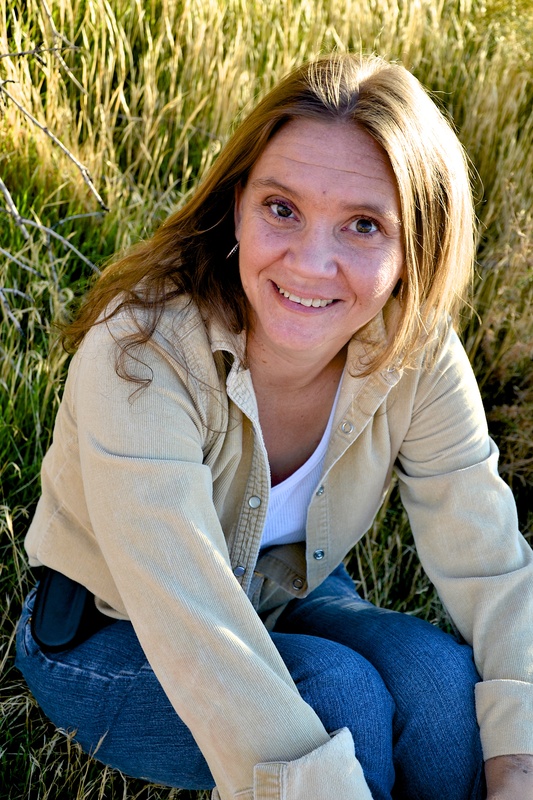 She lives and writes in Scenic Southern Utah with her husband and three sons. When she is not writing she loves to read, research family history and chase her boys. She also plays co-ed softball, tandem bike rides, and enjoys football. Despite her 17 year experience as a blind writer, Traci works on the computer, cooks, and is learning to read braille. an author thickens their skin. Often, I enter competitions, and query for the critiques and suggestions, never expecting anything else. I sent the query letter for Killing Casanova on a Tuesday. I had a request for the manuscript by Wednesday afternoon. After I sent the manuscript they said they needed 2-4 weeks to review it and then I would hear back. Exactly two weeks later they were sending an acceptance and contract. In a matter of weeks I was published and it has been a whirlwind ever since. Like all authors, you have had your fair share of rejection letters. You obviously did not let the letters deter you. How did you keep your determination without getting discouraged? eventually turn into a great author, and that is my goal anyway. It has been my experience, some things come quite easily (like creating the setting) and other things aren’t so easy (like deciding on a title). What comes easily to you and what do you find more difficult? skill, because when you only have 1200 words or less; you better make them count. Please describe to us your relationship between you and your editor. What makes an author/editor relationship a success? T: I have a strictly on-line relationship with my editor. She is in Blue Ash, Ohio and I’m in Southern Utah. We stay in contact through e-mails and a facebook group that is a little more personal. I have enjoyed my relationship with my editor. She is always quick to get back to me with suggestions or help when I have questions. She works well with our group and she has a great sense of humor. I think the best part of this relationship is her honesty and support. She pointed out what did not work and why and she defended my work when it was recommended that I make the blind character seem more blind right from the start of the story. I think that balance is very important. T: Everything inspires me to write: sounds, smells, tastes, textures and live in general. I have been writing for my own therapeutic purposes since I was five years old. Songs are my biggest source of inspiration. The right prose and poetry set to music gets my imagination working. Have you ever suffered from writer’s block? If yes, how did you ‘cure’ it? T: I don’t struggle with writers block because I have more than one story I am working on at time. If I start to struggle I work on a component of another. The important thing is to keep writing. Everything I write isn’t publishable, but I write every chance I get. Have you had any training to become a writer? Does your family and friends inspire any of your books, characters, or plots? T: Because I write romance, my husband inspires a lot of characteristics in my hero’s. People I know, experiences I have had, and pieces of my past are all over in my books. I think authors would be surprised to find out how much of their psyche they divulge in their books. T: I don’t have one particular space. I do most of my work squished into a corner of my living room facing a wall. When you are blind what things look like around you don’t matter. I also work on a laptop so I can work anywhere I want. When an idea or a scene strikes I write where I am. I love to have music in the background and good smells around me, but I’m not too particular. Do you do first drafts on a computer or by hand? lining everything up in some sensible order. T: I love to research my stories. I believe everything you need to know about your future lies somewhere in your past. My favorite part is looking that up and learning new things. I love cultures, religions, languages and stories of triumph so I read a lot in my research. T: I only write in third person. I struggle with first person because I find the characters to be selfish, narcissistic, and stupid. My favorite is alternate points of view. Killing Casanova is written from both her point of view as well as his. Your reader can sense the frustration of miscommunication and invest in all of the answers coming out because they know both sides of the story. T: Writing is a long, multilayered process. If it is your dream to write then don’t let disappointment, struggle, or rejection stop you. Do it because you love it, make your dreams come true and don’t worry about how much money you make or awards you win. If we were all in it for the money and fame, there would be a lot less writers in the world. Do it because you love it, the rest will come. T: I am currently on tour with the World of Ink Network and a schedule of the tour can be found on their website worldofinknetwork.com or on my blog tracimcdonald.blogspot.com. I am also scheduled to attend the Mesquite Nevada Book fair on December 14th in Mesquite Nevada. Thankyou Traci for this indepth interview. 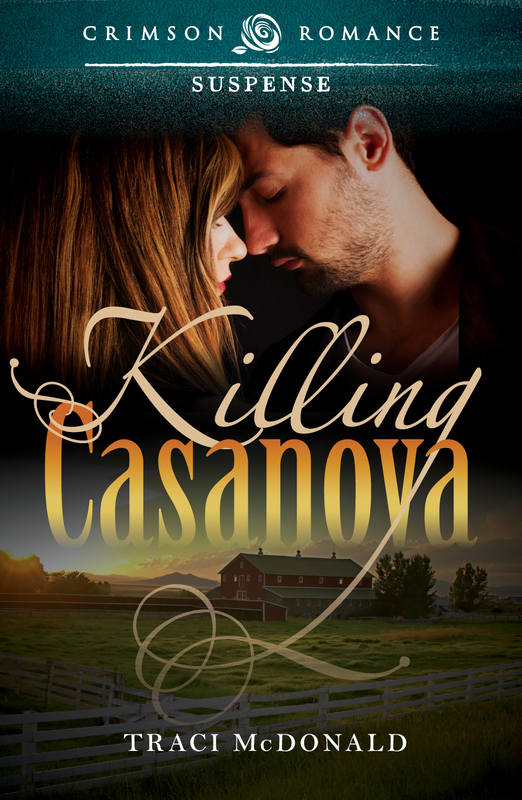 “Killing Casanova” is based in the small ranch community of Lindley, Nevada where Jake Caswell claims the skills and reputation of infamous womanizer ‘Casanova’, until he meets Cassie Taylor, who is seemingly oblivious to Jake’s irresistible charms. Jake determines to add Cassie to Casanova’s list of conquests and unknowingly pulls her into his troubled life. Cassie uncovers old tragic wounds and a world of violence she did not expect, and her own life is at risk from Casanova’s enemies. Worse, she fears the truth about him will leave her heart as the next victim of Casanova’s flawed perceptions. Will Cassie be able to uncover the man behind the mask amidst the threat of peril? Is there hope for love in a tangled web of danger and blind distrust. Tune in back here on the 10th November when Traci will take over my blog and share with us the difficulties, the ups and downs she faces as a blind author. This entry was posted in 12x12in12, Interviews and tagged Traci McDonald, Virginia Grenier, World of Ink Tour. Bookmark the permalink. This is fascinating. When a blind person writes fiction, is there always a blind character in the story? I hope Traci will answer this one for you sometime. I would think not, she does have a few other works coming up soon, not sure if it applies with those. Glad you enjoyed this post Genevieve. What a wonderful attitude you have Traci. I am sure your books are fun and full of imagination. Thanks Diane for introducing us to this amazing author. Your welcome Darlene. Traci certainly has a great attitude with life and her writing. Very interesting and inspiring interview. Wow, Traci’s book must really be good to get that kind of response! Wishing you much success! thankyou Pat. I think you will enjoy the next session with Traci here on my blog on the 10th November. It’s amazing how much Traci has accomplished, and I also admire her positive outlook. Killing Casanova sounds like a thrilling read! I really enjoyed this interview!